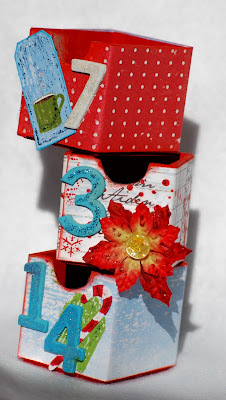 Well Hello so glad you made to the first stop on the Blog Hop!! If you forget your way alon the hop just go to the Rusty Pickle blog starting HERE. Along the way you will find some AMAZING eye candy and inspiration. Please remember to leave a comment so you can be entered a drawing I will be having on the 18th of Dec. I am giving away one I-top. Yes you heard right one I-top. 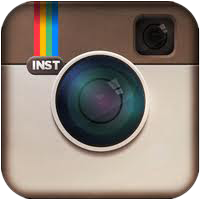 You have to leave a comment under this post so I know you will be entered in the drawing. I will have Cooper draw out the name. It does not matter where you live I will ship anywhere. I am running this drawing until the 18th because that will be when my daughter Crystal is coming home for the holiday on leave from the Army, and to mark the one year anniversary of being in my house. I'm excited and wanted to pass on my joy to you. The project I have made for yo share with you wonderful visitors is a Advent calender....no not your typical one...lol!!! I made it into a calender for my daughter Amanda who is planning on being a Chef, she even just got her class ring with the culinary symbol. The calender has a recipe in each box on typing (copy) paper, so each day marking down the days to Christmas, she can ,ake a new recipe each day. So all her holiday baking will be complete. It is exciting to see what each day will bring. Also to enjoy a sample of the creation.....yum yum!!! Thanks so much for stopping by, you will now go onto the next stop of the AMAZING Brenda at Brenda's Blog http://brendaneuberger.blogspot.com/ I hope you have fun and be soooo filled with inspiration after you finish your hop. Have a wonderful day and please let others know about the hop, so they can be included in the prizes and the inspiration!!!! Happy Holidays!!! Thanks, Dawn Gallop This is the PRIZE!!!!!!! Itop by Imaginisce. Woe, what a lovely and colorful project! This advent calendar is such a great idea. My husband does the cooking and is always searching for recipes. I know I have to do this project for him. Thank you for the idea. 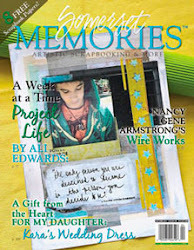 I will post the blog hop on my blog for you. Hello beautiful project!!! I absolutely love this so much. I am glad to hear that your daughter will be home for the holiday! Wonderful for you. Just wanted to say that this is s such a great Advent Calendar. What a wonderful idea. Might try something like this for my kids for next year. They would love it! Hey Dawn! gosh this is AMAZING! your attention to detail on pretty much everything always takes it to another level but this is sooo special...I think next year I really want to do some count down for my kids. I know they would love it! ok anyways..you did soooo good with this! I know its something I will want to come back to again and again! What a fun advent calendar!! Love the idea of putting recipes in each box! Merry Christmas! Oooh it looks so great!! I love how fun it looks. Great job, thanks for sharing!! Oh Wow what a wonderful project! Your daughter will be thrilled! Great idea a recipe a day! Your attention to detail is as always so amazing! Love Love love this! I love this Dawn! Great project! I love your advent calendar! Super cute!! Congrats on your daughter coming home, so very exciting!! Hi Dawn! What a great project! I have seen a few before, but I love the bright paper! On to the next stop! I love this! I love the papers, the aprons, the concept! My goodness girl you are so creative! What a blessing that your baby will be home for Christmas!!!!! I know you are so excited! I'm excited for you! I love your project! I have one of these boxes too. Great inspiration! Thank you! Hi, Dawn, amazing project. And I love how you're thinking outside the box on this one. Great colors! Your daughter will LOVE it! Thanks for stopping by my blog. And hope you enjoy Crystal when she gets home .. I know you will!!! woohooo loooove your project and I would loooove the I-top! your calendar is amazing! Love the project and the bright colors . This came out so nice! I love it! What a wonderful gift and I love the idea of filling the days with recipes. This is really SUPER!! Oh my! This is beautiful! I love the paper and colors! I just purchased this and received it this morning :) I cannot wait to put it together this weekend! Oh my gosh! This calendar looks amazing!! I really want to make one of these myself!!! Great Job Dawn!! I love it!! It's perfect. So colorful and festive. Fabulous advent calendar!! LOVE all of the details that you added to it and the recipes inside. Happy House anniversary!! And so happy that Crystal will be home for the holidays!! Please give her a hug from me and thank her for helping protect our country. Wishing you the happiest of holidays! I love your cute advent calendar. Oh my goodness Dawn...this calender is soooo amazing!!! I wanted to make one so badly but just dont have time but now that I see yours...so much inspiration, thanks!!! What an awesome advent calender! This is awesome! thanks for the ideas! Thanks, too, for having this great prize! I love that calender. I have one and have not started it yet. Love that you did it with a cooking theme for your daughter! Wow, that has the be the prettiest advent calendar I've seen in a while. Thanks for the inspiration! I really need to work on some Christmas stuff this weekend. Amazing work, thank you for the inspiration. It looks gorgeous with those papers. Love the idea of a new recipe each day. What a fun idea. I think my kids would love to do something like this. What a lovely Advent calender. I just love it. Glad to hear that your Daughter is coming home safe and sound! My DH is currently deployed as well and my thoughts and prayers are always with our Soldiers. Please tell your DD Thank You for her service, it truly is appriciated!! I love your calendar! Perfect for older kids and adults. What a sweet idea, I'm sure it will become a family heirloom. Awesome project and such a generous giveaway, thanks so much. OMG! What a stunning project! 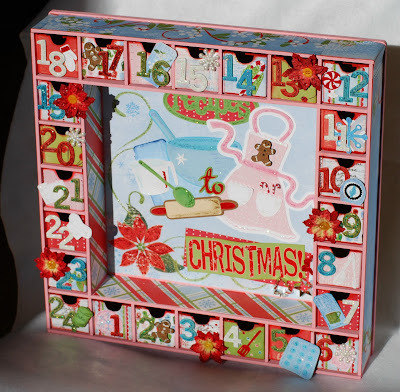 I've never seen an Advent Calendar filled with so much detail and fun!!! Congrats on your blessed life...1 yr. in your home, your daughter coming home, daughter to be a chef! Wow!!! Thanks for the super prize! Off to hOp,HoP,hoP!!! The Advent Calender is so pretty! I love it! So colouful! Enjoy your daughter being home. Thanks for sharing! Blog hopping is so much fun! Thanks for doing this. 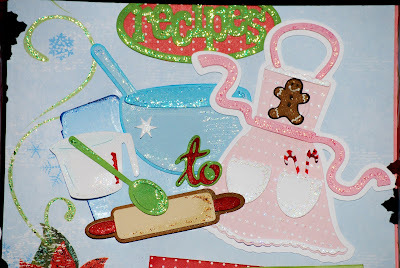 I really like your recipe advent calendar idea...my son loves to cook to! Happy HOHOHOlidays! This advent calendar is just stunning!! Love your advent Dawn, great idea!Love Rusty pickle. That is one beautiful advent calendar! I am really in awe of the attention to detail and pretty colors. I love your calender idea with the recipies. I think it is much harder to do things like that as your children get older. Totally fabulous! So amazing Dawn as usual. You rock! AWESOME Advent! 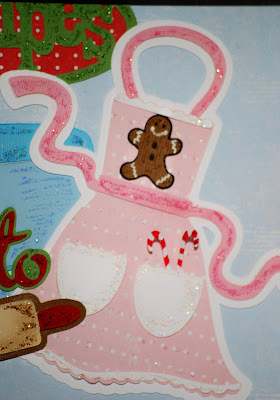 I love it, I am a huge fan of pink for Christmas projects. Dawn, this is so great! I've wanted to make one of these for a while - I think my kids would love it! This is adorable, so much detail! I love the idea of having a recipe for each day! She will love it. very cute. Wow gorgeous advent calendar! She will absolutely love it! And thanks for stopping by my blog. That advent calendar is sooooooo cool Dawn. I love it. And I love the idea of the recipes. I can see this being made into all sorts of special gifts for people of different hobbies! Thanks for sharing. beautiful advent calendar! I love that it isn't the traditional advent too! 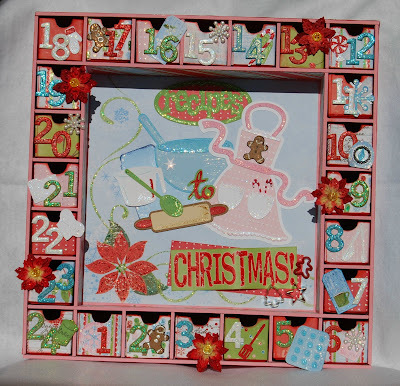 I've not heard of an I-Top, sounds interesting :) Your Kaiser Craft Advent Calendar is fab I love the papers you used and embellishments. Wish i had thought bout the recipe idea. WOW Dawn -- You really out did yourself this time. I wish it were for me! The detail is amazing and I love all the bright colors!! Love Love Love you advent calendar! Wonderful project.....thanx for the holiday cheer! 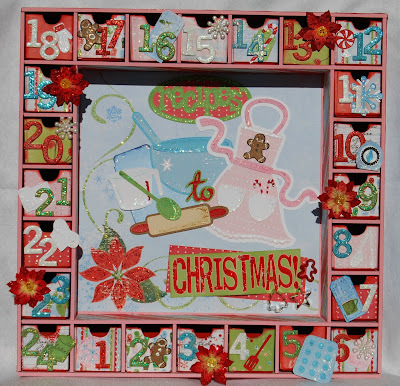 FANTASTIC Advent Calendar, Congrats Amanda! The recipe idea is great... now you have my wheels turning on how many different ways you could use this. The papers are wonderful for this project. Congrats on your 1 year in your house. Please tell Crystal THANKS. She with all the troops are in our thoughts and prayers. WOW... 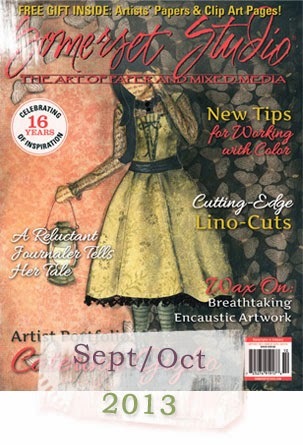 THE ITOP... that is what I am dying to get my hands on after seeing what Tim Holtz can do with one. THEY ARE AWESOME. Thanks for the giveaway... I have posted the hop on my blog! Wow, what an advent calender, how fun to get to open each days little surprize! so happy to have found you! Great project - love the recipe part. One per day is great. Please enter me in the giveaway too - tools are toys for girls you know!! As one who loves to cook, this is amazing! What a GREAT idea! Thanks so much for this idea. OMGoodness! That Advent is fantabulous!!! What a beautiful sentiment to "dedicate" it to your daughter! And your other daughter coming home from the military...You sound like you will be having a most wonderful Christmas!!! I ALWAYS enjoy your creations, Dawn! Have a wonderful holiday!!! When I saw your advent calendar was cooking themed I thought it was cute but then when I read that you put recipes in each box I thought that was such a clever idea. I had considered culinary school also and visited the CIA in NY so I live this project. What a cool project! I love the idea of putting a recipe in each drawer. Awesome! I want to make an Advent Calendar for my daughter when she gets a little older. She's only 16 months old right now. I couldn't make her a calendar even if I had the supplies because I seriously lack the time because of her. lol! Love advent calendars, next year's projects. Great project. Hope your daughter loves being a chef. Thanks for sharing your ideas. Merry Christmas!! I love your advent calendar. I'm and avid cook, so it is perfect as far as I'm concerned. It is great to "meet" you. I'd never heard of a blog hop, but this is fun! This project is so pretty. Beautiful job. I went thru other things as well. Full of inspiration here. I love it! Thanks. And that tool????? OMG. I've had a picture of it on my blog for over a month now. I want that so badly. girl you RAWKED it! looove the snowflakes and mittens! dawn! stunning! absolutely beautiful. WOW! 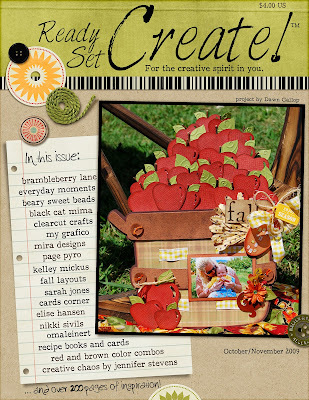 What a fabulous idea to create one with recipes! This is absolutely beautiful! This is one gorgeous project!!! Love it!!! I love, love, love your project!! What a creative way to encourage your daughter to try some new recipes!! Hey, Dawn, jsut came back to say congrats on your Chrip feature! Woohoo! 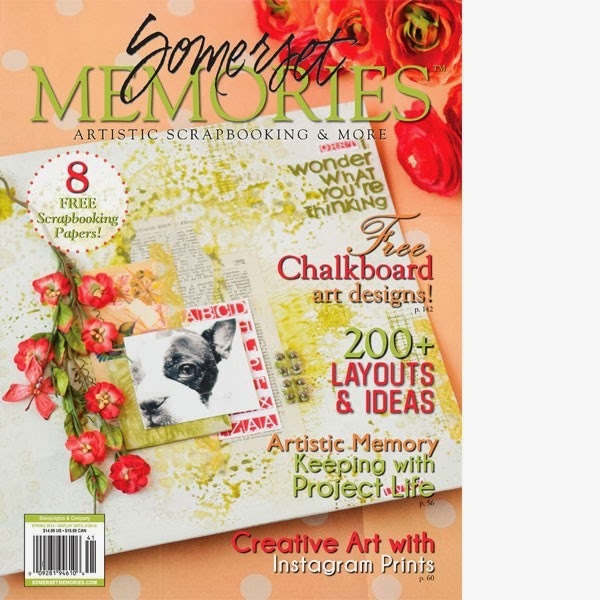 Love this recipe project! OMGOSH Dawn this is sooo awesome and congrats being featured in the Chirp! Congrats to you for getting the spotlight thinger!!! Sorry in a hurry and I forgot what it's called! I was so excited to see you in the chirp!! Woohoo! Grats again!